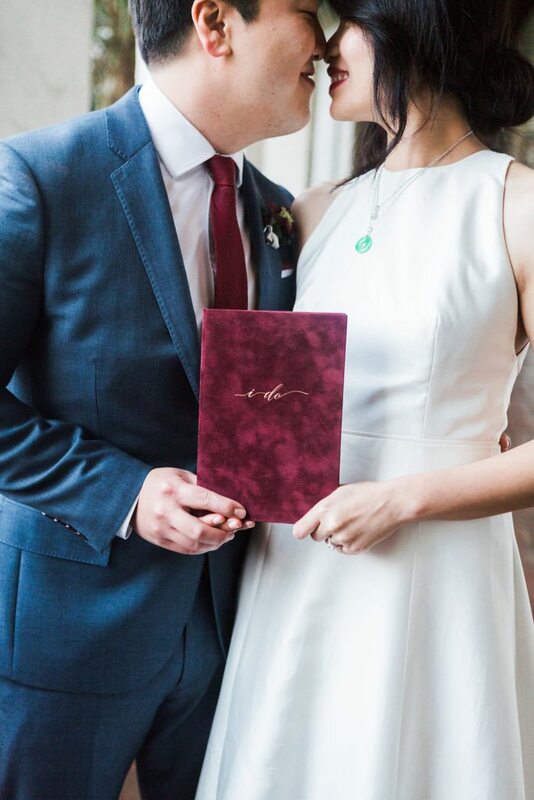 We are always so pleased to see wedding photos of couples who have used Wedding Story Writer Vow Books during their ceremony, whether the wedding is jam-packed with guests or super cozy with only a few family members. We were excited to learn Martha Stewart Weddings picked up Eva and Tommy’s elopement, a sweet couple in California who opted for a tiny, meaningful elopement ceremony but with a beautiful large reception. It seems this trend is catching on a bit and there is no wonder why. So many couples opt for a more intimate, private ceremony without distraction. They want the focus to be only on them during their vows, but followed by a celebration later that day or even months afterward. Michel B Events created a magical reception for Eva and Tommy, which included canopies dripping of red flowers, all sizes of candles, and a gorgeous naked cake. Everything there had meaning to them, in a rustic chic setting they dreamed about. It was a celebration that they will always remember.